Boil it down and the message is simple: get your sleep and you won't need any of these "helpers." Bad habits that take root during adolescence can set the stage for a lifetime of poor sleep and the chronic health problems that result. This week is the National Drug & Alcohol Facts Week℠ (NDAFW), a national health observance for teens which uses science to shatter popularly perceived myths about drug use. As all forms of drug use (legal, illicit, over-the-counter, prescription) have been shown repeatedly to influence sleep and wake schedules in people of all ages, SHC appreciates the opportunity to showcase how some of the more popular habits and substances coveted (and easily accessed) by teens can contribute to ongoing poor sleep patterns and sleep deprivation. Bad habits that take root during adolescence can set the stage for a lifetime of poor sleep and the chronic health problems that result. Illegal drugs and their health impacts are best covered here at the NDAFW website. By far the most common drug of choice among teens, caffeine is so easily accessible and socially acceptable that it’s no wonder our kids rely on it to keep them awake during the day. As adults, we provide a bad example by following this same regimen daily, forgetting that caffeine is a drug, and one that can become habituated. The problem for teens is specific: they should not be so sleep deprived that they require a caffeine kick throughout the day to keep them awake, but early school start times make it impossible for them to get enough sleep. Teens who attend school districts where start times are early have been imprisoned by a system that does not understand that their sleep phases naturally run later. As a result, teens who naturally find 1 am a normal bedtime are still facing a daily rude awakening when the alarm goes off at 6 or 7am in conjunction with an earlier start time then their brains are physiologically unprepared for normal waking function. Teens need at least 7 hours of sleep at night, every night, to be well rested, and those long weekend sleep-ins are no solution to the constant sleep debt they accrue. Hence, kids with super-early schedules (either they have early school or before-school sports practices, well before the sun has even risen) are hitting Starbucks or the grocery store for a caffeinated beverage like Red Bull to jumpstart their brains artificially. Caffeine can temporarily improve alertness by blocking sleep-related brain chemicals while jacking up adrenaline production.When the caffeine is metabolized, the brain and body hit a period of “crash” (or withdrawal), which leads to more sleepiness. need to consume more caffeine to avoid it. Meanwhile, unless they are drinking ample amounts of water, their bodies are dehydrating, further leading to excessive daytime sleepiness. 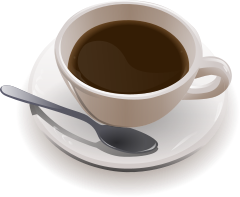 Caffeine, remember, is an addictive drug, even if it’s available to anyone who wants it. Caffeine addiction leads to insomnia and general alertness at improper times of the day, typically after the sun goes down when the body and brain are supposed to be preparing for sleep. A vicious cycle develops when teens wake up exhausted, consume regular amounts of caffeine all day long, struggle to fall asleep or sleep poorly because of caffeine’s side effects, then wake up too early the next day and start the process all over again. Caffeine does not and cannot replace sleep, and it should not be consumed after mid-afternoon by anyone who wants to achieve a normal bedtime schedule. Parents may feel they cannot control their teens’ caffeine consumption but, as with any drug, they should have fact-based discussions about using it as a way to offset sleep problems (insomnia at night, excessive sleepiness during the day) so they can be reminded that they are relying on a drug and that reliance can have long-term health consequences. Teens feel just as much, if not more, pressure these days to excel in school as their parents did back in the day. The desire to succeed academically is fueled by the idea that if they don’t do well in school, they will not be able to find a good-paying job and risk living their adult lives with untenable economic instability. The job market itself has not been friendly to high school or college grads for a while, which only makes matters worse. are easy to find on the Internet. The promise of better academic success by using so-called “performance” drugs becomes instantly alluring to these teens. 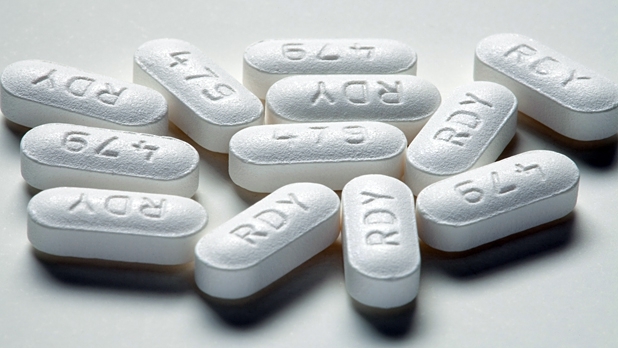 The drugs most commonly used to improve alertness and mental vigilance are Ritalin (methylphenidate), Adderal (dextroamphetamine), and the latest popular “smart” drugs, Provigil (modafinil) and Nuvigil (armodafinil). These medications are intended to treat problems with attention deficit, sleep disorders (like narcolepsy, shift work or circadian rhythm disorders) or depression. However, they are quickly finding their way into the hands of teens who seek them enhance their intellectual achievements in the classroom. Whether this kind of “academic doping” is ethical is beyond the scope of this article, but suffice it to say, no drugs are risk free. These drugs fall into pharmaceutical schedules that require they only be obtained and used via a prescription for specific uses. Still, these drugs, though meant to be hard to obtain, are easily (though not safely) sourced through the Internet or can be cobbled together from the supplies intended for other family members’ health concerns. Teens (and their college-bound cohorts) are more and more inclined to use these drugs “off label” for the purposes of fighting daytime fatigue or reenergizing during a busy week of studying. The harm with using these medications comes in the fact that they all have serious side effects and, if used inappropriately, can lead to undesirable nighttime sleep problems. Also, it’s illegal to use certain drugs “off label,” regardless the risks. They can also be addicting and can lead to troublesome issues with withdrawal after bingeing on them for several days in a row, all of which can disrupt circadian functions and sleep patterns in the long term. Teens may struggle to fall asleep at night for any number of reasons; they often seek out prescription medications to help bring sleep onset. These can also be easily acquired through the Internet or by “borrowing” from other family members who use them. By and large, the most common forms are the “Z” class drugs–zolpidem (Ambien), eszoplicone (Lunesta) and zaleplon (Sonata). These nonbenzodiazepine drugs have similar effects as their “benzo” cousins. The “Z” class drugs are meant to be used in the short term but are often used nightly; this leads to habituation, and a need for more of the drug to achieve the same affect. Addiction is common with these drugs (see John Stamos’ recent disclosure about his Ambien addiction); even without addiction as a possible outcome, bizarre behaviors, daytime “hangovers,” memory issues and problems with drowsy driving are all problematic for prescription sleeping pills. like candy at night without remembering that, even if it’s a nutritional supplement, it’s also a substance with limited research into its safety and efficacy. But because it is a supplement, it is not regulated like other sleep drugs. Also, since it’s considered GRAS (generally recognized as safe), most people–including teens–decide that if a little works, a lot will work better. 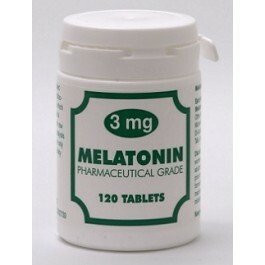 But recent research has show that melatonin may have more problems with higher dosing than we first thought. Also, it’s critical to remember that research studies almost always focus on adults and not on children or adolescents, who we now know have very different brain chemistry processes. Teenagers, for instance, have much more melatonin in their bloodstream than adults do at sunrise. Concerns about melatonin use have become a case of not knowing our own circadian systems well enough to know how much to take, and when, and whether it’s even necessary. And speaking of necessity… The practice of taking melatonin to improve sleep at night might be covering up for a separate sleep hygiene habit which could be at the crux of a teen’s insomnia issues: the use of cell phones at night. device with a backlit screen. Nighttime use of cell phones (or any electronics with backlit screens that exude blue spectrum light) has major consequences for this age group. The blue light beaming off these screens is perceived through the eye, then carried into the brain (specifically, to the pineal gland), which “reads” the light as an indication that it is daylight; this shuts down the body’s own ability to generate it’s own melatonin, which is necessary to fall asleep. There are screen filters and blue-blocking glasses now available for nighttime users of electronics to help keep blue light from interfering with the normal circadian process of melatonin release at night, but the best approach is to put the screen object away at least an hour before bedtime to allow the brain to set itself and the body up for sleep. Cell phone use (games, texting, social networks) can be habit-forming, stimulating and interruptive, besides. Turning them off is perhaps the only way some teens will achieve quality sleep at night. In doing so, teens may discover they don’t need to supplement with melatonin after all, as their own brains should be making adequate amounts, given the proper opportunity. And let’s face it, taking a melatonin supplement while staring at an unfiltered electronic screen more or less negates the supplement anyway. If you are a parent of a teen, or you are a teen, and you’re reading this article, please think very carefully about the impacts that these drugs can have on sleep cycles. 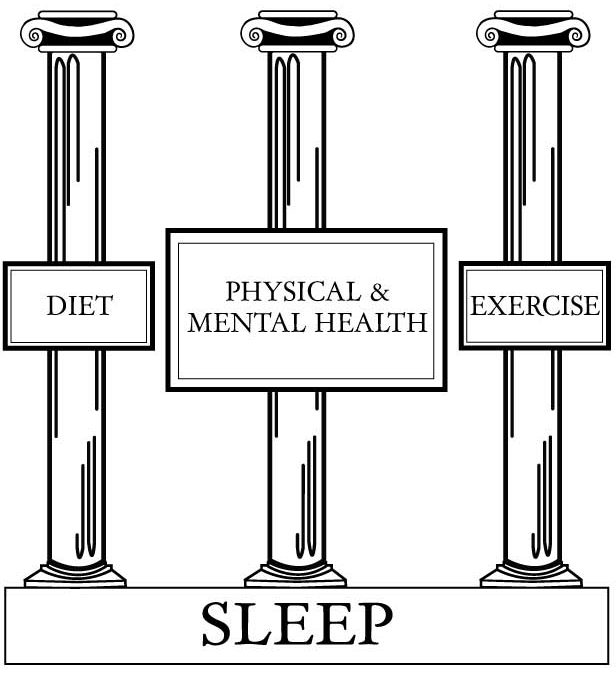 Sleep is a key foundational part of the Three Pillars of Health–as critical to physical and mental health as healthy diet and regular exercise. If you take substances in order to stay awake or to fall asleep, you might want to think about why you are so sleepy (or not sleepy) to begin with. The root cause of sleep and alertness problems is generally something more systemic that requires attention from a medical professional. By using drugs to enhance either process, you run the risk of suffering side effects, swapping one set of problems for another, or negatively impacting your circadian rhythms in a way that could be very hard to fix in the long run.